My very last batch of pineapple tarts. 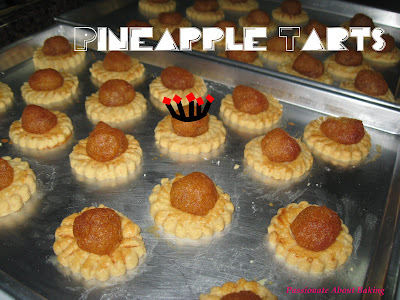 No more baking pineapple tarts till... I feel like eating again! I named this "The Last Emperor" because I thought it's characteristics is like Emperors. Those which we watch from movies. Anyway, it's for your imagination! Hi Jane. Wow you're still making pineapple tarts? You have an incredible amount of patience!